MWC 2018: Nokia 8 Sirocco, Nokia 7 Plus, Nokia 6 (2018), Nokia 1 and Nokia 8110 4G launched. 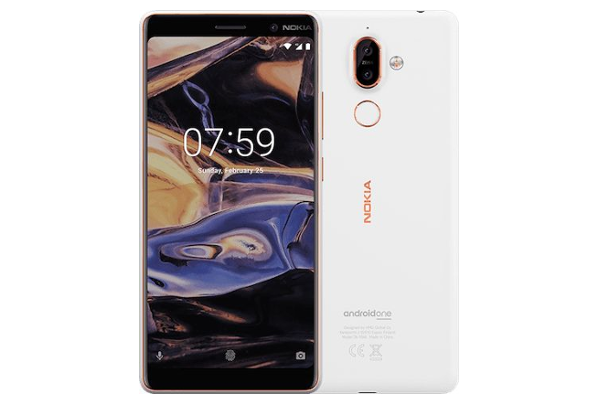 HMD Global, the home of Nokia phones, today announced four new additions to its portfolio of Android smartphones - Nokia 1, Nokia 6 (2018), Nokia 7 Plus and Nokia 8 Sirocco. In addition to these new Android smartphones, the iconic Nokia 8110 is reloaded, delivering 4G connectivity, apps including Google Assistant, Google Maps, Google Search, Facebook and Twitter, and the return of the slider phone. Its stainless steel frame is 2.5 times stronger than 6000 series aluminium, and its 3D Corning Gorilla Glass 5 is robust enough to endure life's everyday knocks. The Nokia 8's new features including enhanced Dual-Sight, ZEISS optics and carefully tuned acoustics with Nokia spatial audio. Now capture every detail thanks to the Nokia 8 Sirocco's dual rear sensors with ZEISS optics that combine an ultra-sensitive, wide angle primary camera for impressive low-light performance and a secondary 13MP sensor with 2x optical zoom. And with Pro Camera mode you get full manual control over every picture you take, helping you capture photos like a pro. The vivid 6-inch 18:9 Full HD+ display makes the Nokia 7 Plus perfect for browsing, social media consumption, gaming and entertainment with more content in the same width as a traditional 5.5-inch display device. The Nokia 7 Plus captures moments into photos that are true to life. With enhanced Dual-Sight, dual rear sensors with ZEISS optics combine an ultra-sensitive 12MP wide-angle primary camera for excellent performance in both low-light and extra bright conditions and a secondary 13MP camera that delivers 2x optical zoom for the moments when you wish you were closer. To enable you to capture and enjoy more content for longer, the Nokia 7 Plus is backed by the powerful Qualcomm Snapdragon 660 Mobile Platform. It's been optimised and integrated for maximum performance and battery life, even when you are broadcasting your #Bothie videos live on Facebook or YouTube. Optimised to extract every bit of juice from the already powerful 3800 mAh battery, the Nokia 7 Plus delivers an amazing 2-day battery life. 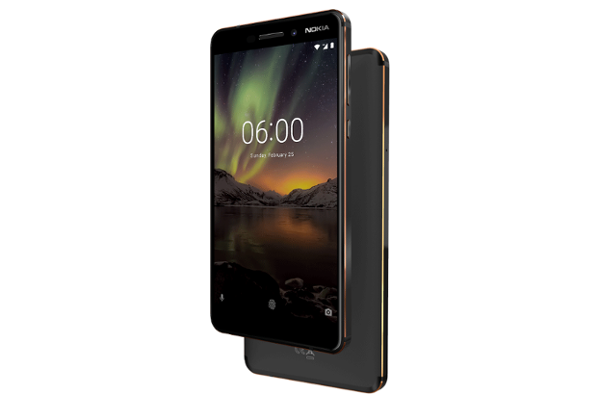 Building on the success of its predecessor, the new Nokia 6 packs even more powerful performance and great new features in a more compact, durable body. 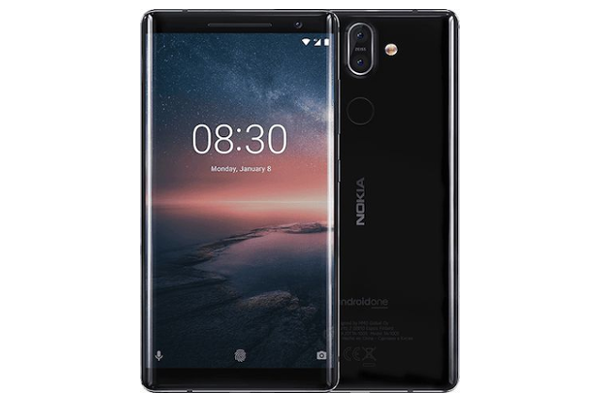 Over 60% faster than its award-winning predecessor, it now offers enhanced Dual-Sight, ZEISS optics, USB-C fast-charging, a more compact screen-to-body ratio, Nokia spatial audio and pure, secure and up-to-date Android Oreo. The new Nokia 6 takes the original's precision craftsmanship to the next level by combining a unibody, made from a solid block of 6000 series aluminium, with an 11-hour two-tone anodising and polishing process. And by uniting a sculpted 2.5D display with damage-resistant Corning Gorilla Glass, the New Nokia 6's compact and refined body is built to last. The new Nokia 6 is powered by Qualcomm Snapdragon 630 Mobile Platform to deliver fast and smooth performance alongside great day-long battery life. It is available in two configurations: 3GB RAM/32GB ROM or 4GB RAM/64GB ROM. 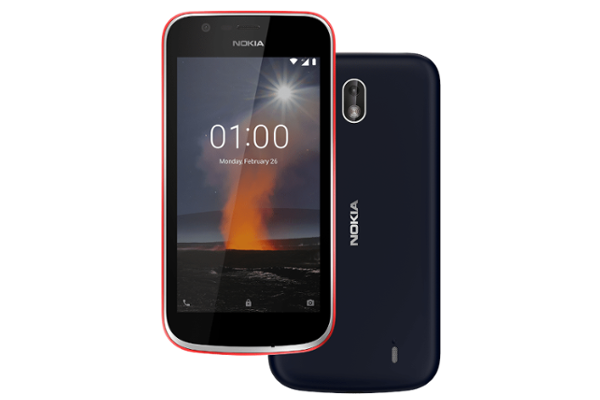 The Nokia 1 comes with Android Oreo (Go edition), a version of Android optimized for devices with 1GB RAM or less. The Nokia 1 is designed to be smooth and responsive, with full access to the Google Play™ Store so you can find all your favourite apps from WhatsApp, Facebook and Instagram to mobile banking while also highlighting apps that are optimised for Android Oreo (Go edition). Featuring the iconic 'Nokia smile' in a fresh new package, you can give your Nokia 1 a makeover thanks to the popular Xpress-on covers, available in a range of vibrant colours. Simply click on and off in seconds to express your personal style with these exchangeable covers. Each cover has been built with the same precision and attention to detail as the phone's original cover. Inherently coloured, the tough two-tone polycarbonate cover is ready to take on every day knocks and bumps with its durable design. Reloading the legendary Nokia 8110, this 4G feature phone comes complete with the iconic curved slider design. Giving you the chance to switch off, have fun and relax with the knowledge that all your smartphone essentials are there when you need them. With a familiar and easy to use interface, it features intuitive tactile mechanics, with slide to answer and end calls, as well as an addictive helicopter style spin on its axis. 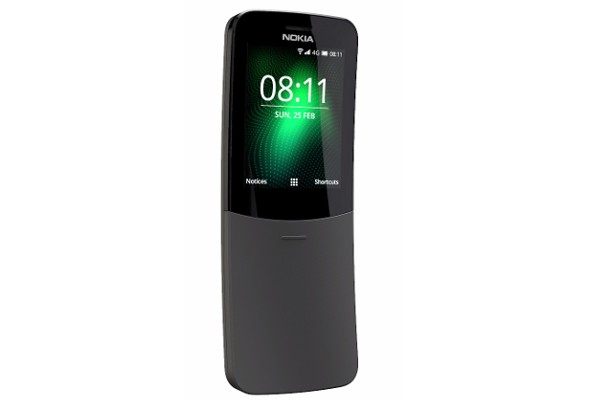 Nokia 8110 delivers crystal-clear VoLTE calling and is perfect for anyone who wants an iconic 4G feature phone or a companion phone. With access to an app store, for favourites like Google Assistant, Google Search, Google Maps, Facebook and Twitter, send and receive emails or import your contacts and sync your calendar with Outlook and Gmail. To keep it running flawlessly, the Nokia 8110 features the Qualcomm 205 Mobile Platform. And yes, it comes with a revamped version of Snake. Nokia 1 will be available from early April for a global average retail price of $85. Xpress-on covers, sold separately, are available from $7.99 in Azure, Grey, Yellow and Pink. Nokia 8110 will be available from May for a global average retail price of €79.